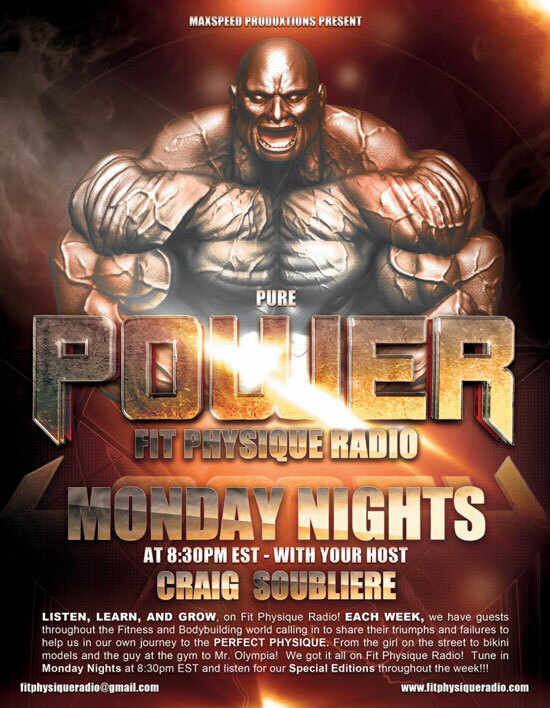 This weeks guests are National Level Bodybuilder Toby Schulze he will be stopping by to give us the low down on his prep for the NPC Jr Nationals coming up this month. IFBB Pro Tom Tim Terwilliger stops by Fit Physique Radio. Eric DiLauro Mr Canada and Top trainer. Lenyn V. Nunez Mr California will be calling in to tell us what he has coming up. It’s going to be a jammed packed show. You can download all our episode’s on iTunes by clicking on banner to the right.